It is with great pleasure that the Hawkes Bay Branch has been chosen to host the 2019 New Zealand Collision Repair Association 106th annual conference which will be held from Friday 24th May to Saturday 25th May 2019 at the Napier Conference Centre, Napier. The Napier Conference Centre on Napier's Marine Parade is Hawkes Bay's only purpose-built conference facility. With stunning panoramic views over the Pacific Ocean, it is the obvious choice for conference. The venue is also within easy walking distance of various accommodation options and downtown Napier. Napier welcomes you to the best that provincial New Zealand has to offer including art deco architecture and a rapidly developing wine industry. As usual the programme has been designed with a view to maximising opportunities exhibitors have with the delegates. Trade stand opportunities are limited and will receive maximum exposure through a series of events in the Exhibitors area. Following tradition, a theme was conceived and for 2019 in Napier it is "The Past, the Present, the Future". The conference programme has been designed to reflect this, but with an emphasis on the future. Napier welcomes you to the best that provincial New Zealand has to offer including art deco architecture and a rapidly developing wine industry. This year's conference will be held at the Napier Conference Centre with many options of accommodation close by. We have secured accommodation across the road at the Scenic Hotel Te Pania and a short walk away at the Quality Inn Napier and The Nautilus. We have a range of sponsorship packages to suit you, we have outlined below the various options available. Sponsorship plays a critical role in ensuring the success of our event and we invite you to be part of our conference and you can be assured that we will do our best to give all sponsors and exhibitors value for their contribution. We will also be providing the opportunity for businesses to exhibit products, services, management systems, etc. All breaks, lunches etc will be ‘held in the exhibitors’ area to ensure that conference attendees have ample opportunity to renew acquaintances and meet potential suppliers. Please note that in addition to the Exhibitor stand price ($1,100), you will need to register each of the personnel who will be manning your stand. We have available an exhibitor registration solely for this purpose – this registration does not include attendance to the DeBeer Refinish Paintsmart Dinner, Awards and Entertainment on Saturday night ($150.00 per person), these can be paid for separately. If you have any further queries or would like to discuss sponsorship/exhibiting further please email Neil Pritchard [email protected] or phone him on 021 663 459. We have a great Saturday night function planned, the DeBeer Refinish Paintsmart Dinner, Awards and Entertainment – all combined on the one night due to the compact format. This evening will be an Art Deco themed affair, so step back into the 1920's. 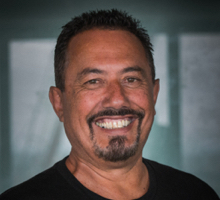 Mike King was recently named as the Kiwibank 2019 New Zealander of the Year. Mike is our very own comedic, cultural ambassador, performing at more international festivals than any other Kiwi comedian. A familiar face on New Zealand television, hosting numerous comedy series. Mike’s candid routine has led him to become somewhat of a social commentator and he is often asked to take part in documentaries, news shows and debates. These days Mike has retired from stand-up comedy, devoting his time to help others understand mental illness and strategies to cope with it. 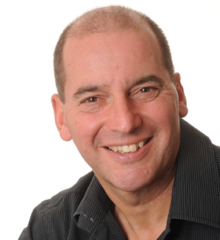 Mike is strongly sought after as a guest speaker and master of Ceremonies for corporate and private functions. John has a background in sports psychology and has coached world champions and Olympic medalists. In the 1980s he developed his own UK training company, teaching blue chip clients like Hewlett Packard and Coca Cola to use sports psychology techniques to improve performance. In his late 40s John emigrated to New Zealand where he set up his own speaking and coaching business, quickly establishing himself as one of Australasia’s top motivational speakers. In 2013, after a bout of depression brought on by extreme stress, John began studying ways of helping people deal with the huge pressures the world is currently throwing at them. He quickly discovered the emerging area of Mindfulness and saw it’s potential as a way of dealing with stress. He approaches the subject from a neuroscience perspective and teaches practical ways for people to use the techniques to reduce their stress. 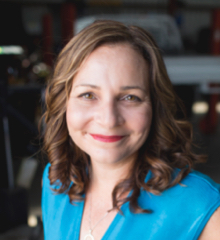 From a suburban mechanics' workshop to international business woman and disrupter of a global industry, Rachael Sheldrick is a successful workshop owner, author, and Australia and New Zealand’s leading business mentor for auto repair shops. Rachael is the founder of The Workshop Whisperer, and specialises in mentoring owners and managers in sales and marketing, social media strategy, improving productivity, staffing, culture, leadership, and cash flow. Unlike other business coaches, Rachael is a successful and award winning auto repair business owner herself and shares the secrets to success. 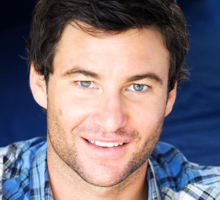 After graduating from NZ Broadcasting School, Clarke Gayford created student show Cow TV. Presenting gigs followed for music channel C4, United Travel Getaway, and Extraordinary Kiwis. In 2016 he swapped his radio mic for a speargun to launch ‘Fish of the Day’, a Choice TV show about his lifelong passion. In 2017 Gayford became NZ’s 'first bloke', when partner Jacinda Ardern became Prime Minister. When not spearfishing, Gayford has filled in as a host on Seven Sharp and been an occasional guest on Radio New Zealand's ‘The Panel’. He has MCed at events from the Sustainable Coastlines Auction Ball to the Rhythm and Vines Music Festival. 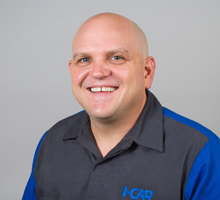 As Director, Industry Technical Relations at I-CAR, Jason leads I-CAR’s Repairability Technical Support initiative. He operates where the rubber meets the road at I-CAR USA. Jason will present on collision repair today, where vehicle manufacturing is going and the impact on the collision repair industry. He will discuss future options and opportunities and how I-CAR will meet this challenge. This presentation is essential for everyone in the collision repair industry thinking strategically about the future. We have secured accommodation across the road at the Scenic Hotel Te Pania and a short walk away at the Quality Inn Napier and The Nautilus. Please indicate your accommodation needs on the registration form and we will try to meet your request if possible. The accommodation costs are payable on your departure from the Hotel. All pricing includes GST per room per night. Partners are invited to join the delegates for any of today’s sessions or you can enjoy exploring the many attractions of the Hawke’s Bay region. Partners are welcome to listen to John Shackleton’s final presentation this morning before boarding a luxury touring coach. As time allows as many of the following will be visited/seen – Art Deco Napier, Old Ahuriri with the Sea Walls, West Quay and National Tobacco Factory. Views from Te Mata Peak along with a stop at Arataki Honey and a Boutique Chocolate Factory. Lunch will be enjoyed at the Mission Estate Restaurant. You will then arrive back at the conference venue in time for the conference closing at 4pm. Are you attending the partners programme on Saturday? Please tick your accommodation needs and we will try to meet your request if possible. The accommodation costs are payable on your departure from the Hotel. Please Note: The Exhibitor fee does not cover the DeBeer Refinish Paintsmart Dinner, Awards and Entertainment on Saturday night ($150.00), this can be paid for separately.